Konecranes Reach Stackers are built on generations of customer feedback and product knowledge. Offering remarkable versatility, the new Generation C Reach Stacker ranges between 10-80 tons and comes with technology that’s smarter where it matters, the lowest total cost of ownership, and a lift truck made with heart. From compact empty container stackers to industrial heavyweights, we have a range of trucks to suit your specific application. 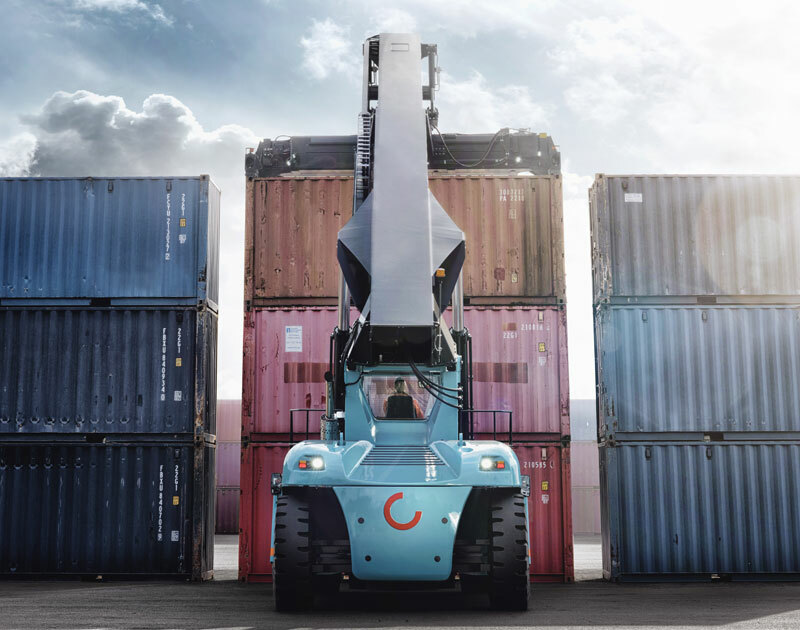 Boasting a 10 – 45 ton lifting range, the container reach stackers exemplifies the virtues of konecranes strength and versatility. Refined through over 50 years in the heavy duty industry, they are at their best when working at an intense pace in container ports and intermodal terminals with little room for manoeuvre. In addition, we offer larger lifting capacities and an extended set of functionalities for railroad stacking. 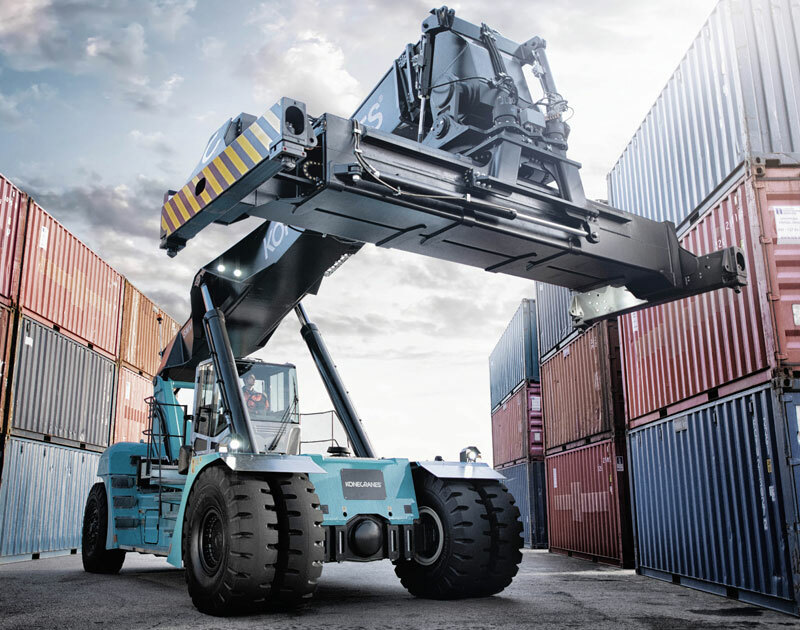 Konecranes offers a powerful range of reach stackers for intermodal handling. With 41-45t lifting capacities, their intermodal reach stackers are well suited for loading and unloading across more than one track thanks to a long wheelbase and excellent manoeuvrability. 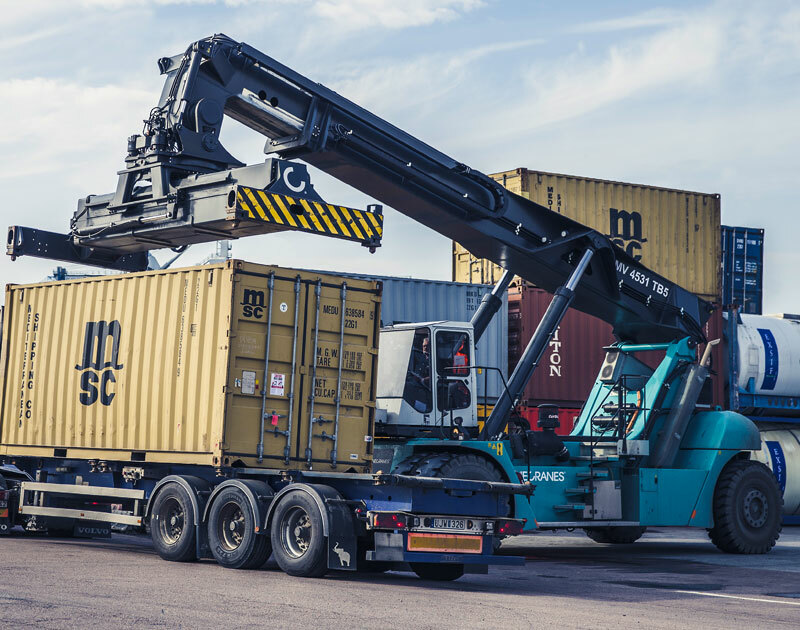 We can also supply a complete range of attachments for intermodal handling including a telescopic intermodal folding spreader for laden ISO containers, swap bodies and trailer handling. Boasting a lifting capacity of up to 80 tons the industrial reach stackers epitomises the power and muscle that Konecranes is known for. Ideal for handling the most challenging industrial applications including steel and aluminium, the versatile truck allows you to reduce transportation costs. We provide special spreaders incorporating steel grabs, lifting magnets, vacuum grippers and coil C-hooks among other attachments. Konecranes is leading the way in lift truck technology: we recently launched the world’s first hybrid reach stacker. Equipped with powerful, low-emission engines that comply with environmental regulations it has been proven to significantly reduce fuel consumption.